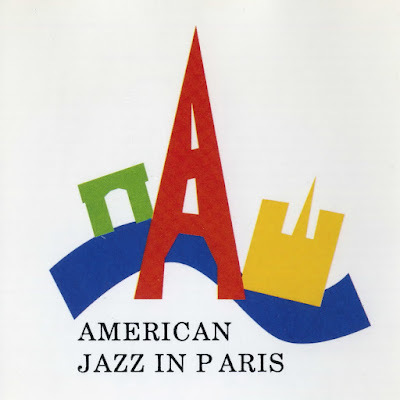 Other notable musicians in this CD: Wild Bill Davis, Billy Strayhorn, Mercer Ellington and other usual Ellington gang members. 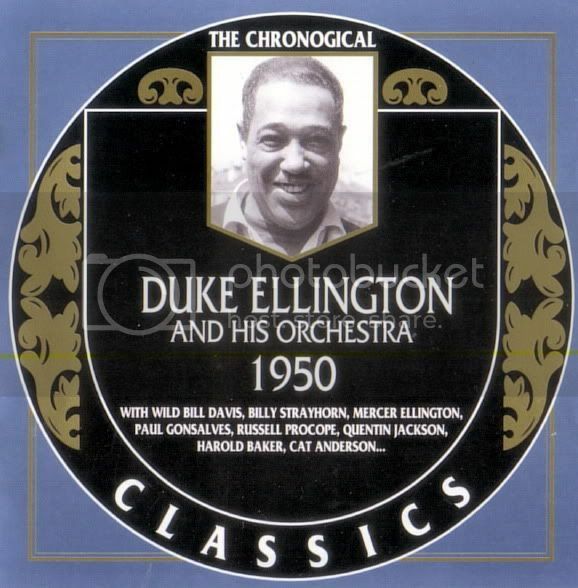 About the period: Undeniably the early fifties were difficult years for Duke Ellington. Despite having a contract with Columbia the band was rather infrequently recorded. In addition, the peaks of Ellington's creativity have always paralleled the degree of public acceptance of his compositions and general appreciation of his band. Never since the early twenties. had the wider public cared less for big bands than around 1950. In spite of his economical problems Ellington continued to record music of very high quality. The Album: Opens with ten tracks for Mercer. Eight of these suffered a strange fate, Originally conceived as 78 singles, they were made at a time when the industry was gradually switching to LPs and were thus issued on a very obscure 10-inch LP, which had limited distribution as Mercer left business soon after. This music was next re-issued in 1964 on Riverside just before this label also stopped issuing records. This same LP was finally again on the market in the mid-eighties - when CDs came along. No wonder these outstanding piano-duo shave attained near mythical reputation. Two additional tracks were issued under Wild Bill Davis' name with the Duke sitting in on Things Ain't What They Used To Be. The three next performances for Columbia are not very well known either. Love You Madly features a vocal by Yvonne Lanauze and a fine tenor solo by Paul Gonsalves. Flamingo, Ellington& Strayhorn on piano, Wendell Marshall on bass, N. Y. C., October 3, 1950. Count Basie and Woody Herman, Duke's keenest rivals since the mid-forties, had been forced to disband their groups. 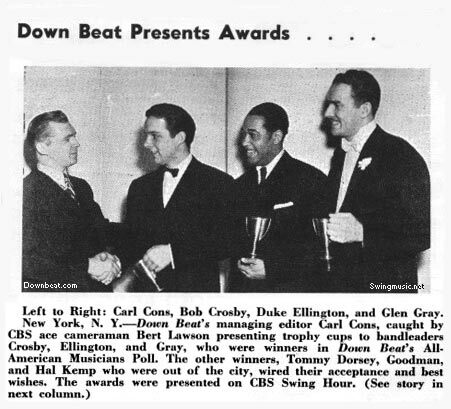 In February, 1950, he was presented with an award from the magazine Downbeat, in addition to which he was presented with a parchment scroll commemorating the fact that Ms was the only leading band from the magazine's 1949 poll still in existence! Duke Ellington (p), Billy Strayhorn (p), Wendell Marshall (b). New York, October 3, 1950. Duke Ellington (p), Wild Bill Davis (org),Johnny Collins (g), Jo Jones (d). New York, late October, 1950. Wild Bill Davis (org),Johnny Collins (g), Jo Jones (d). Duke Ellington(p), Billy Strayhorn (p), Joe Shulman (b). Trombone: Lawrence Brown, Quentin Jackson. Jimmy Hamilton (cl,ts), Johnny Hodges (as), Russell Procope (cl, as), Paul Gonsalves (ts), Harry Carney (cl, barsax), Duke Ellington (p), Wendell Marshall (b), Sonny Greer (d), AI Hibbler (voc), Yvonne Lanauze (voc). New York, November 20, 1950. Mercer Ellington (flugel horn),Tyree Glenn (tb), Billy Strayhorn (p). New York, December 18, 1950.